What do you think of when you travel? Whether air tickets are within your budget, or if taxis are exorbitant to hire? What about accommodation? What are your thoughts when it comes to your bed (and breakfast)? There is no lack of properties to put up at wherever you travel to, because tourism has evolved and the world is definitely chalking up on the supply to meet the demands. And if you ask us, accommodation attributes largely to your overall experience – whatever kind of holiday you take. While we love our huge beds and fluffy sheets of commercialised hotels, we enjoy blending in to local cultures and truly experience living like a local. Which is why we have been such believers of Airbnb. In our recent trip to Italy, all our accommodations were booked via Airbnb and we could not be more pleased with the experience. Today, we share with you 10 reasons why we love Airbnb so much, and as we wrote this post, we were already counting down to our next Airbnb experience! The main reason why we love Airbnb is because it offers unique, local accommodation on any budget, anywhere in the world. From a seashell house in Mexico, to windmill in Greece, and castle in historic Scotland, there are so many special places that you can stay in. Airbnb has curated a list of the top 40 accommodations around the globe. Besides the fact that you can get quirky and fun places to stay in, there are more than 600,000 listings (in over 34,000 cities and 192 countries) on Airbnb to choose from – surely something that suits every one! As much as we would love to, not every one could afford staying in a luxurious 5-star hotel for every holiday. Airbnb’s listings cater to different budgets, and you can get accommodation for as low as S$100. We recently chanced upon this modern studio in Taipei and it is only S$68/night! And this alone had us harbouring thoughts of flying to Taipei for a getaway! 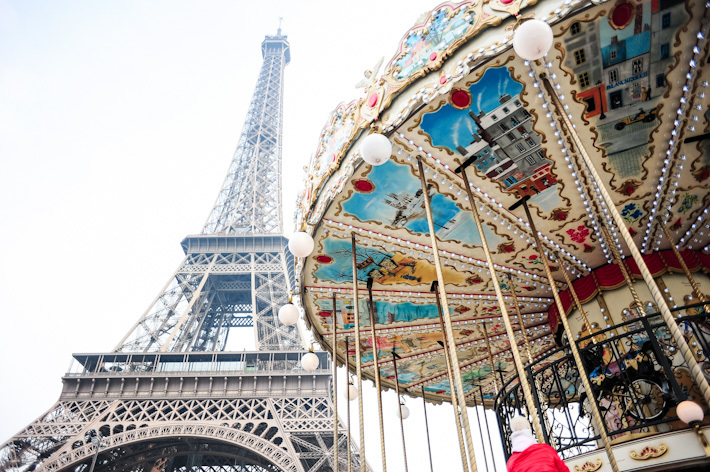 On the flip side, if you are willing to splurge, there are also amazing apartments like a penthouse on 5th Avenue in New York, or a luxurious apartment that is right beside Eiffel Tower. You get to interact with locals who know the city best, and they will be able to give you the best tips that are better than any travel guides. Our hosts in Rome and Venice gave us great tips on the best places to dine at – the restaurants where only locals know, and you won’t find any tourists – as well as the attractions that we must go to. Sometimes if you are lucky, they introduce you to the local merchants so that you get discounts when you get your wines and whatnot, too! When we were planning our trip to Rome, we wanted to put up at Old Rome – the Renaissance-era centre of the city, where you can find beautiful squares like Piazza Navona and campo de’ fiori, cathedrals, and of course, the Pantheon. And there are not that many hotels in that part of the city, because it is where the locals call ‘home’ and tourists usually do not stay there. This is the charm of Airbnb. We found so many suitable places that we had difficulty trying to decide on one place. The apartment that we stayed in Venice was perfect, too. Stable wifi connection, clean and cozy space, a well-equipped kitchen with all the necessities that we need to cook, a heater in the entire apartment, a library of encyclopedias and guide books, a cloth warmer in the toilet to dry our laundry, and best of all, it has an excellent location (2 minutes to Rialto Bridge, and 15 minutes to San Marco). We really felt like we were living and breathing Venice like locals, and we actually looked forward to returning home every night! “Be a traveller, not a tourist” is one of our favourite travel quotes and we constantly remind ourselves to try new things, meet new people and explore the city like a traveller and not a tourist. Staying at a local’s apartment gives you a unique perspective into the locals’ lives. Don’t be a tourist who is more concerned with visiting all the popular destinations; be a traveller and stay in a local neighbourhood, and discover things that you would otherwise miss or not know of. One of the plus points of staying in an apartment is having the flexibility to cook. Some of the apartments listed on Airbnb have kitchens that are fully equipped. Not only do you get to save money (from dining out), you also get to buy fresh local produce and whip up a hearty meal for your loved ones. When we were in Venice, we bought seafood from the famous Rialto Seafood Market (which is just 3-minute walk from the apartment), and cooked almost every night. 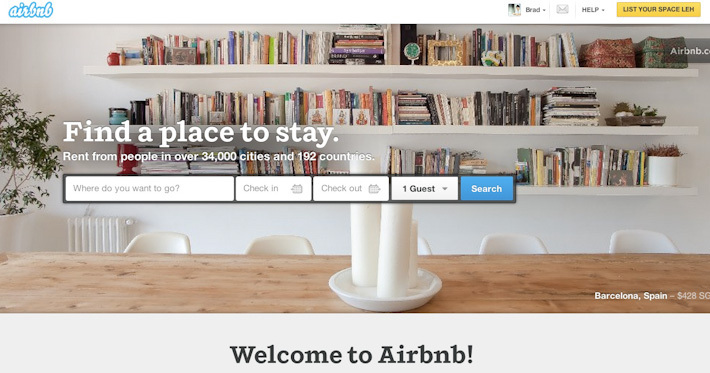 Airbnb has several verifications for hosts who list their space on the website. So you can rest assure that it is safe and you won’t have to worry that you will get a dodgy place. Moreover, there are reviews – written by people like you and me who have stayed at the place before – that will give you a better understanding on the things to look out for. Small little details like whether there is hot shower, wifi, and a working lift in the building. It is vital to read through all the reviews before committing to a place that you are comfortable with. Also, most hosts reply extremely fast, making it a fuss-free and convenient affair to book your accommodation. Searching for your dream accommodation on-the-go can never be easier with the Airbnb mobile app (available on iOS & Android). Download the Airbnb app now and look for a space for your next holiday! Airbnb cares about the community. They are always actively planning something for users, and it is great to know that. Go to www.airbnb.com.sg to book unique accommodation for your next holiday now! Airbnb is offering all ladyironchef readers US$25 travel coupon to book your next holiday accommodation. Simply click on this link, sign up and get US$25 on your first booking on Airbnb. Share with us your dream destinations! Travelling does wonders to your soul, so save up, plan your next holiday and book your accommodations on Airbnb! Follow Airbnb on twitter and facebook to find out more about the latest listings. This post is brought to you by Airbnb Singapore. Content isn’t showing in Safari though. Just in time for my holiday! How do I claim the usd25 for my next trip? The code to enter? Thanks alot.